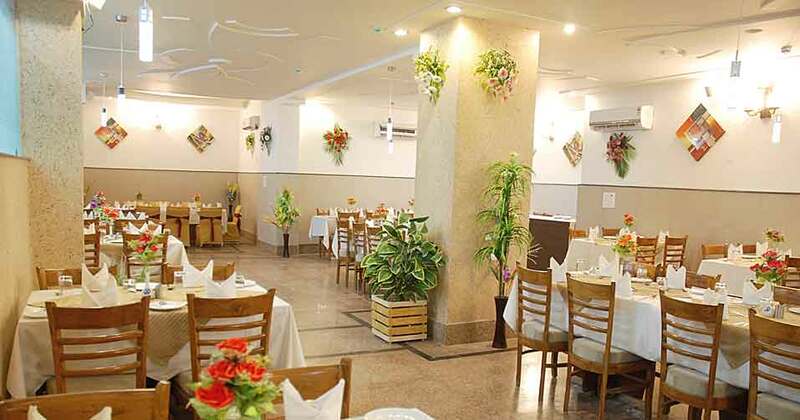 Hotel Ganpati Palace Mathura to enjoy the art of hospitality. The property is an urban haven of refined service and understated elegance. This fine property is located at 'Braj Bhoomi' Lord Krishna's birth place-tourist destination with the ultimate in world class service and facilities, combined with the group's traditional reputation for genuine hospitality experience. Conference Hall, Currency Exchange, Internet/Wi-Fi, Backup Generator, Room Service, Security Guard, Bar, Restaurant, Laundry Facilities, Express Check-In/Check-Out. Internet Access, Air Conditioning Room, Television Room, Room Heater, H/C Water, Desk, Wakeup Calls, Cable/Satellite TV, DVD Player, Attached Bathroom. Room Service, Restaurant, Parking, Laundry Facilities, Doctor on Call, Conference Hall, Business Facilities, Breakfast Services, Bar. User reviews for "Ganpati Palace Hotel Mathura"